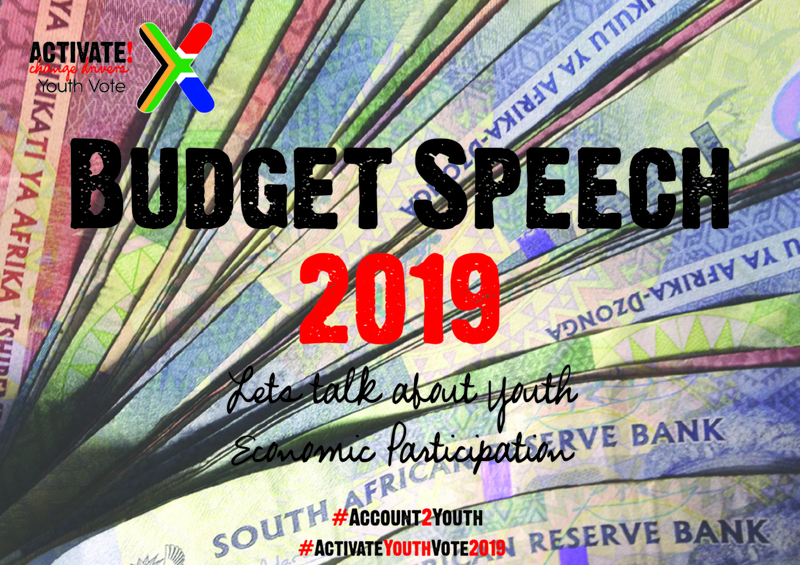 Activators share their views for the 2019 Budget Speech - Activate! Job creation, tertiary education funding and youth entrepreneurship stimulation are some of the issues SA Finance Minister Tito Mboweni will prioritize in this year’s budget speech on the 20th February. On the 24th of January, Minister Mboweni invited citizens to share their views (via Twitter: @TreasuryRSA with the hashtag #TipsForMinFin and #RSABudget2019) about issues they would like the Minister to highlight in his budget speech. Activators used alternative platforms to make their voices heard. The social change drivers’ suggestions to Minister Mboweni focus mainly on Activate Leadership Big 5 areas. Sipho Mnisi pleaded with Minister Mboweni to primarily use his budget in a way that will ensure that South Africans are interconnected with the world around us and as a country we don’t fall behind the fourth industrial revolution. Taking into consideration the Department of Health budget steady increase over the years (2014 – R145.7 billion – 2015 – R150 billion – 2016 – R178 billion – 2017 – R606 billion – 2018 – R205.4 billion), Activator Uzzi Nkosikhona Uthmaan Mpungose eagerly awaits to hear Department of Health budgetary detailed plans and end goal vision for the financial year ahead. On the other hand, Gauteng based educator Themba Mzima and scientist Penester Tjale who have vested knowledge in alternative literacy methods of learning applauded government’s 2018 medium term budget among other financial resources of an allocated R31.7 billion infrastructure grant. Mzima called on government to prioritize vocational training as one of the important ways of learning that empowers everyone to be active citizen. Fix sluggish economy and everything will fall into place. Economist Tshegofatso Ramatlo pleaded with treasury to use the budget speech to inspire confidence not just to investors and law-makers but also young desperate South Africans.